It's time for another challenge at 'Tis The Season and this time we have a color challenge. This challenge is right up my alley, I love outdoor colors and the darker the shade the happier I am! 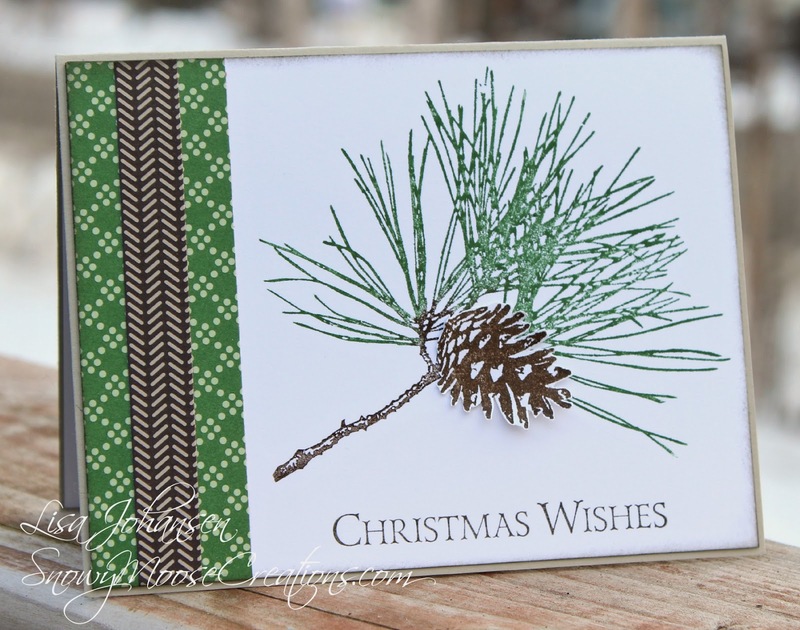 I decided to use the Ornamental Pine set for my card. I used the colors Garden Green and Early Espresso to color in my branch, and then I used Early Espresso to color in the pine cone. I cut out the pine cone and then adhered it to the card, pulling up the edges for a little dimension. My layout is from a recent Sunday Stamps sketch. I used Trim the Tree DSP for the strips along the left side. Nice and easy card! 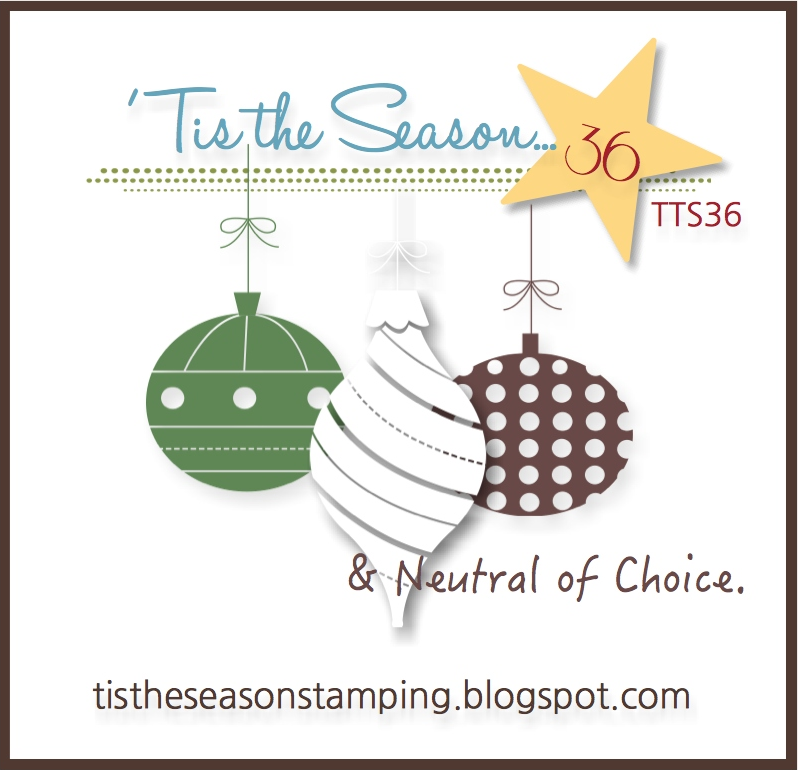 I hope you'll come by the 'Tis The Season blog and join us. You don't have to use SU colors, any colors close to these ones will work!